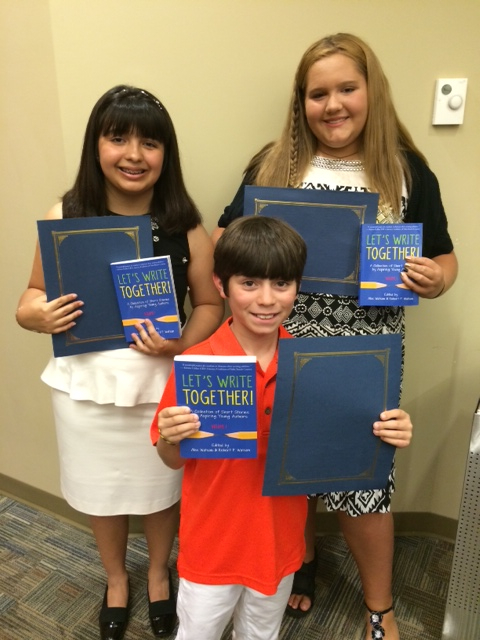 Victoria Gallastegui, Samantha Perez, and Ari Prince (front) represented Grandview as winners of the Let’s Write Together Contest. 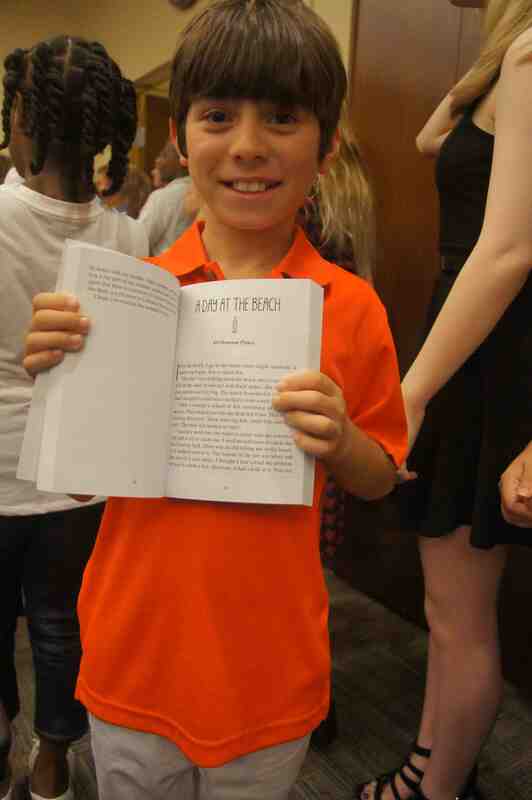 A visit from teen author Alex Watson spurred a writing craze at Grandview. Alex is the author of Tsunami: A Novel and the creator of the Let’s Write Together movement. Through his website (www.letswritetogether.com) and appearances, Alex hopes to inspire families to write together as a way to foster relationships and hone the skill of writing. 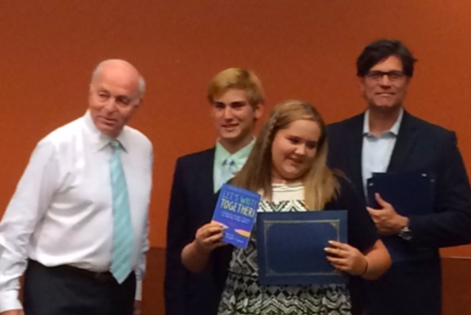 During his visit to Grandview, Alex announced the Let’s Write Together Writing Contest. Alex asked students in lower and middle school to submit a short story in one of three categories: Action/adventure, Thriller/sci-fi, and Drama/mystery/comedy. Students could write the stories on their own or together with a friend or family member, and winning stories in each category would be professionally published in a book of short stories by TriMark Press. Grandview teachers Rosita Darden and Nancy Boyle encouraged their students to write short stories for the contest– and three Grandview students were selected as winners! 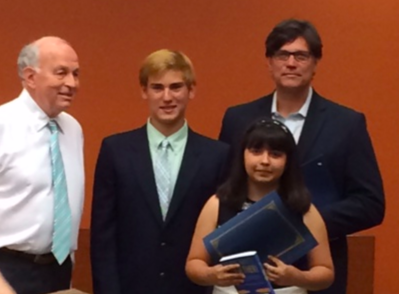 Seventh grade students Victoria Gallastegui and Samantha Perez and fourth grade student Ari Prince received a certificate and a copy of their published stories in an awards ceremony on May 9 held at the West Boca Library– complete with fans and media! Grandview was the only school to have three winners, and Ari was the only boy to win. Congratulations to Victoria, Samantha, and Ari! We are so proud of our published authors. Tags: short stories, writing. Bookmark the permalink.